PEORIA, IL – Gospel singer and songwriter Larnelle Harris will play the Peoria Civic Center Arena on Friday, June 7 at 7:30 p.m. Harris is a five-time Grammy Award winner and has won 11 Dove Awards - three of which were for Male Vocalist of the Year, and a Stellar Award for Best Solo Performance. He has achieved nineteen #1 radio singles and countless top 10 hits. Songs such as "How Excellent Is Thy Name," "I Miss My Time With You," "I've Just Seen Jesus," plus many others, including his signature song, "Amen," are now considered modern gospel music classics. From the White House to the danger zone of the 38th Parallel, Larnelle has impacted audiences across the globe with his music. He was the first Christian artist to perform inside the Kremlin after the fall of the Soviet Union. He is one of a handful of celebrities to receive the Ad Council's Silver Bell Award for Distinguished Public Service in recognition of his song "Mighty Spirit" as the theme song for the longest-running Public Service Announcement in television history. Joining Harris on stage will be the Voices of Bethel, the choir of Peoria Bethel UMC, and soprano vocalist Sarah Seymour, a member of Peoria First UMC. 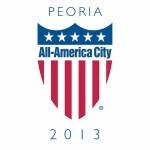 Tickets ranging from $25-$35 go on-sale Friday, March 1, 2019 at the Toyota Box Office inside the Peoria Civic Center or at www.ticketmaster.com. For more information about the Illinois Great Rivers Conference and the Larnelle Harris concert, contact Paul Black, Director of Communication Ministries at 217-529-2040 or pblack@igrc.org.